The San Francisco District Office is back open for business and ready to serve America's Small Businesses! We apologize for any inconveniences or delays you may have encountered working with our offices over the shutdown. SBA’s San Francisco District Office is now accepting nominations for its 2019 Small Business Awards. All nominations must be submitted no later than noon, February 4th, 2019. All nomination packages must be hand delivered or mailed to the San Francisco District Office. 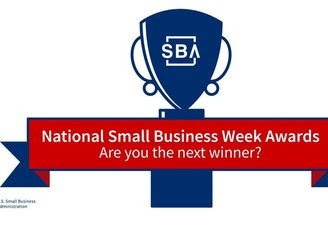 We encourage you to visit our dedicated website http://www.sba.gov/nsbw to download forms, criteria, and guidelines for submitting a nomination. We look forward to your nominations and wish you all the best of luck. For questions about submitting applications to the San Francisco District Office please contact Noah Brod at noah.brod@sba.gov or 415-744-4244. Do you Have a Convincing Elevator Pitch? How to Become Better at Networking and Actually ENJOY It!